When a yeti named Migo sees a human with his own eyes, his attempts to tell his community are met with persecution as the discovery of a "smallfoot" would prove that the mythical texts that shape their very society are wrong. None of the trailers for "Smallfoot" led us to believe we would be met with such a strong social message from what seemed like a goofy movie for kids. This Warner Animation Group feature is directed by Karey Kirkpatrick, who has helmed such films as "Over the Hedge" and "Imagine That." He also helped write the screenplay along with Clare Sera, John Requa, and Glenn Ficarra, and it is based on the book "Yeti Tracks" by Sergio Pablos. On a mountaintop high above the clouds lives a society of yetis. Their entire lifestyle is based on ancient writings on stones kept by the Stonekeeper (Common), who is basically their Pope, the voice and leader of their community. When a plane crashes above the clouds, a yeti named Migo (Channing Tatum) sees the human pilot. Shocked that he saw a "smallfoot," he runs to tell his town about his life-shattering discovery. After reporting his truth to everyone, Migo is met with persecution, and the Stonekeeper gives him an ultimatum: retract his statement or be banished. Migo knows what he saw, and with the help of S.E.S. (Smallfoot Evidentiary Society), which is led by the Stonekeeper's daughter Meechee (Zendaya), sets out to find a smallfoot and prove their existence. When Migo actually accomplishes his mission, it shakes the very foundation of his bubbled society, many of whom would rather cling to the fiction they have always known rather than accept the truth. We didn't expect much from "Smallfoot," to be honest. Judging solely on the trailers, it looked like a simple movie about turning the Bigfoot legend on its head and targeted to kids. We were shocked when it actually turned out to be much more than a goofy animated flick. 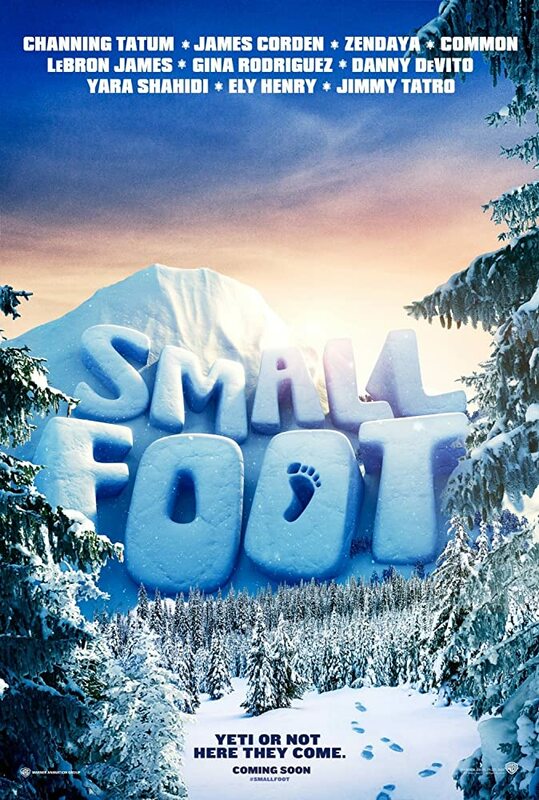 "Smallfoot" delivers a message to children that encourages them to ask questions and challenges the status quo, to acquire more knowledge because knowledge is power. It wants the audience to know that challenging tradition actually makes society better, especially when there is evidence that says tradition is wrong. It strives to show that embracing the path less traveled and overcoming fears of change can be a welcomed breath of fresh air in an otherwise claustrophobic, bubbled society where everything always stays the same since ignorance is bliss. What a great message to broadcast to the world right now! 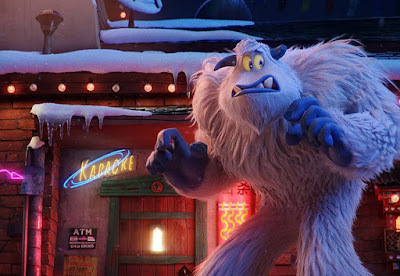 Sure, "Smallfoot" is also full of silly characters and slapstick to make the kids in the audience laugh, but it is still a very cutesy film full of fun music and a hefty dose of wonder. Speaking of music, we also didn't know this was a musical! Catchy songs performed by main actors Channing Tatum, Zendaya, Common, and James Corden (among others) filled our auditorium with their meaningful-but-poppy lyrics and infectious rhythms. Speaking of Channing Tatum, we forgot that the dude's got pipes (see: "Hail, Caesar!")! Not only that, but Tatum is fantastic as main character Migo. His voice works perfectly for such a character. In fact, all the voice actors do an amazing job in this flick, particularly Zendaya, LeBron James, Gina Rodriguez, American Vandal star Jimmy Tatro, and of course, the incomparable Common. "Smallfoot" is one of the biggest surprises of 2018 for us. It has tremendous voice acting, fantastic songs, spiffy animation, and above all, an important message that will (at least we hope it will) resonate with children and adults alike. Take a chance on this one!